The Asian longhorned beetle (Anoplophora glabripennis) poses a serious threat to hardwood trees and wood products. 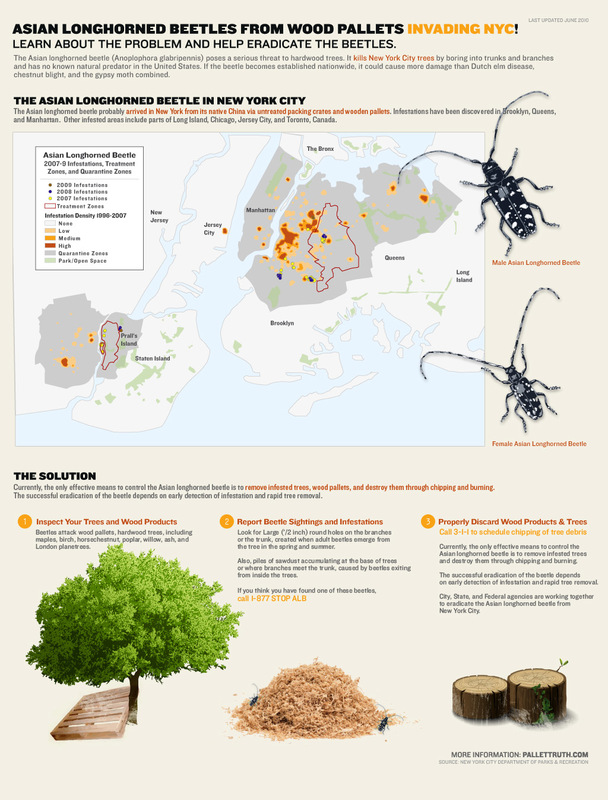 The beetle kills New York City trees by boring into trunks and branches and has no known natural predator in the United States. If the beetle becomes established nationwide, it could cause more damage than Dutch elm disease, chestnut blight, and the gypsy moth combined.